The death of illustrator Leo Dillon in June 2012 has made the New York Times and many other American media outlets, but his name is less well known in the UK. As well as all their other projects, with his wife and partner Diane he worked on a number of sleeves for the pioneering spoken-word label Caedmon Records. Issuing their first album in 1952, label partners Barbara Holdridge and Marianne Mantell soon dropped the generic look of their early releases and began to commission artists to work on the covers. 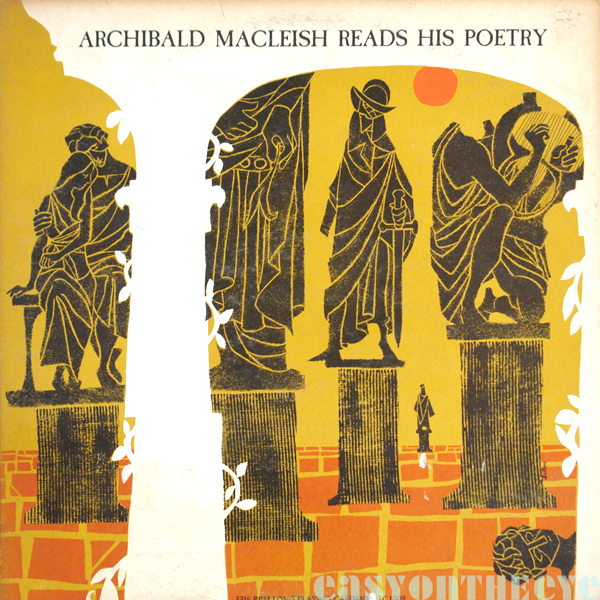 Being in New York gave them the pick of many upcoming illustrators and graphic designers, and their catalogue – a unique collection of recordings from Dylan Thomas reading his own work to Leonard Nimoy doing sci-fi – also remains arguably one of the most important collections of sleeve design of any label. When an artist or designer fitted into the Caedmon ethos, the label often offered them more work and several worked off and on for them for twenty years or more. One striking example are The Dillons, a husband and wife illustration team, Leo and Diane (both born a few days apart in 1933). Around this time the label revisited their first couple of dozen titles and gave them new illustrated covers as the original pressings sold out and The Dillons also did a couple of those as well as more new releases. 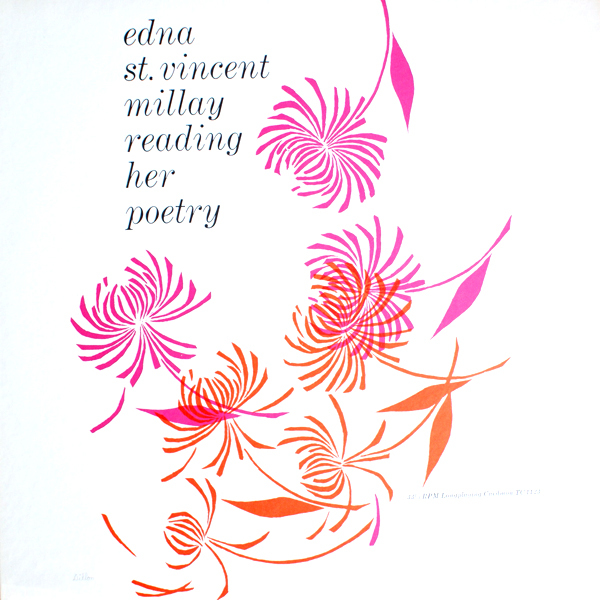 One reason the Dillons fitted so well was that they were already known for book jacket work, so the literary sensibilites gelled well with a spoken word label. Aside from Caedmon The Dillons worked wherever they could; covers for classic literature, film posters, men’s magazines and children’s books (for which they received a number of awards, starting with the Hugo in 1971). The Dillons were still working for the label in the late 1970s by which time the catalogue had grown to several hundred titles (the founders decided to sell the label and move into other areas in 1975). In all they did around two dozen sleeves for Caedmon. The early ones featured their trade-mark woodcut illustrations, but they soon began using a wide variety of materials which gave their work enormous variety and a richness of colour which made some of their covers really stand out. It’s impossible to be sure who contributed what to many of their sleeves as they viewed their unique collaborative approach as that of a third artist, able to achieve things they could not have done individually. Each illustration was worked on by the pair of them, one continuing the line of the other, or adding color, which would then be further embellished by the first. 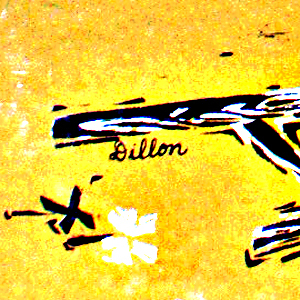 Some of their later sleeves were an early example of cross-marketing, as the Dillons did an illustration which would then be used on both the paperback and the album cover. Most of their sleeve illustrations carry their name. At first they just put Dillon in the corner, then began putting The Dillons before expanding this to L & D (or Leo and Diane) Dillon, so they are easy to spot. Many of the albums were available in the UK through a distribution deal, and some titles were also pressed here with minor changes to printing and label design. The US originals are the ones to seek out as they were usually printed on matte cover paper to enhance the art. As Barbara explained to me, they “cost more but were very effective”. We have a sleeve gallery on the site here which features a selection of their work for Caedmon. There is a second gallery of Caedmon sleeves by other designers here. Article by Simon Robinson. Many thanks to label co-founder Barbara Holdridge for her input.